It was an Ontario Hockey League trade that had the entire hockey world talking. Nine and a half years ago, the Oshawa Generals sent Tavares, Michel Del Zotto and Darryl Borden to London, in exchange for Scott Valentine, Christian Thomas, Michael Zador and six draft picks. In Tavares, the Knights got a bona fide scoring ace, the centre that had recorded a jaw-dropping 72 goals in 67 games for Oshawa in 2006-07. But it wasn’t just the big numbers that impressed Mark Hunter, owner, GM and vice president with London, when he first met Tavares. He’s also a big-time talent. In 24 games with London in 2008-09, Tavares tallied 32 goals and 50 points in 24 regular season games. In the playoffs, he had 10 goals and 21 points in 14 games. The New York Islanders made the native of Mississauga, Ontario the first overall pick in the 2009 NHL Entry Draft. Whether Tavares had a multi-point game or a tough night on the scoresheet, Hunter recalled a player that never looked back on his last game. Instead, the young forward preferred to look forward to the next challenge. And even though teams did their best to throw Tavares off his game, the numbers show it didn’t work. 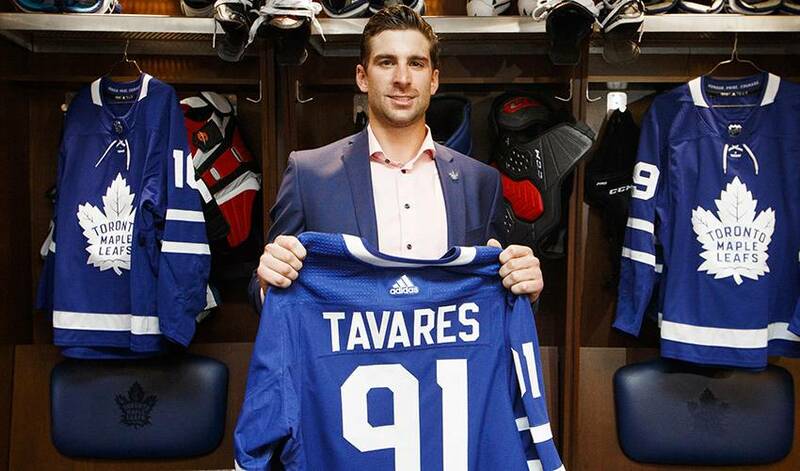 Now, after another major career move, one that saw Tavares sign a seven-year, $77 million contract as an unrestricted free agent with his hometown Toronto Maple Leafs on July 1, the former Islanders captain will look to create a similar impact the way he did with the Knights nearly 10 years ago.